We offer two styles of accommodation to suit your requirements, ranging from “rustic” hotel accommodation to a luxury beachfront villa on North Caicos. “La Dolce Vita” is your tropical oasis–nestled in a cove of velvety white sand and pristine turquoise water. The beach is several miles long and protected at both ends by bluffs which offer protection from the elements while the reef only a mile offshore calms the water so that it gently laps at the beach. This newly constructed Mediterranean inspired luxury villa was built with attention to every detail. The large and luxuriously appointed indoor spaces connect to a large deck area where high quality lounge furniture surrounds a 50+ ft. infinity pool. There are both indoor and outdoor dining areas suitable for an outdoor breakfast, cocktails in the evening, or for casual dining for your whole party while gazing over the pool area to the beautiful ocean beyond. “La Dolce Vita” is comprised of three separate buildings, creating a lush courtyard with fountains and abounding ocean views. 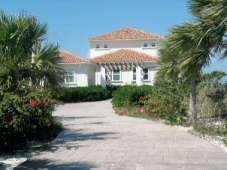 All are constructed in the Mediterranean style with white stucco exterior, and clay tile roof. The stamped, natural slate-patterned driveway leads to two pergolas for shaded parking. The main building is two stories, with each floor having a large covered porch. Entertain on the first floor with a fully appointed kitchen, including custom-crafted cherry cabinetry with ceramic tile inlay, and granite countertops. An open dining room and great room lead to the 16′ x 50′ ceramic tiled pool with infinity edge. An attached 12′ x 16′ shallow wading area is perfect for lounge chairs and the beverage of your choice from the poolside wet bar. The great room has a built-in entertainment center including an ever growing DVD library, a docking station, and wine bar. The second floor is a master suite with wet bar, king size bed and full bath. The second floor balcony offers spectacular panoramic views. A second detached master suite has its own complete kitchen, a luxury bathroom with a corner Jacuzzi tub, shower, walk-in closet, and custom cherry double vanity and linen cabinets. It also boasts a king size bed with HD TV and a stereo docking station. This master suite is positioned to maximize the ocean and courtyard views while affording complete privacy when desired. The guest house contains two bedrooms with queen size beds, a shared full bath, and a laundry. The entire complex is conditioned by separate AC units for individual comfort and plenty of windows allow maximum light and opportunity to enjoy the tropical island breeze. With the exception of a hardwood floor in the second story area, all interior floors and showers are pattern-inlaid travertine. Ceramic tile graces all exterior porches and walkways. The Pelican Beach Hotel is one of the longest established hotels on North Caicos, located in Whitby – and as the name implies – lies directly on Pelican Beach. The hotel offers a range of accommodation from beachfron double rooms to suites. Every room either has direct views to the ocean or is only a twenty five yard walk to the beautiful beach. The hotel has a pleasant restaurant with beach views and serves an a la carte breakfast and dinner featuring local produce and seafood. There is also the famous Barracuda beach bar which is open throuighout the day offering lunches and a full range of tropical drinks and cold beer. It is a favourite hangout for locals and visitors alike.All rooms are air-conditioned and well appointed with a full bath, vanity, fridge and ceailing fans. You’ll be well cared for by owners Clifford and Susie Gardiner. Susie’s reputation as a great cook is widespread. She’ll introduce you to local specialties and preparations of seafood, surprise you with unusual treats (ever hear of fruit cocktail cake?) and she’ll definitely fill you up! 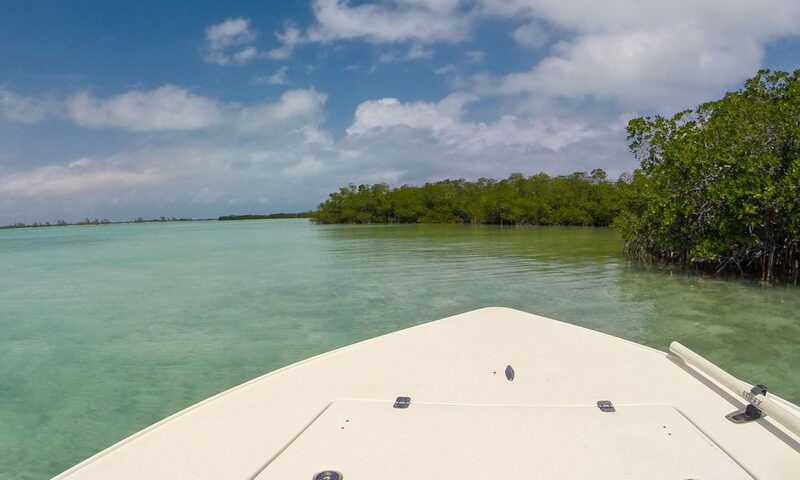 The hotel offers personalised service and is a perfect place to relax after a busy day fishing on the flats of North Caicos and surrounding waters.